It's no secret, society's attention span is getting shorter by the minute. For many people, staying home to watch the History Channel on an HD Plasma TV with 7.1 surround sound is comparable to a museum experience. 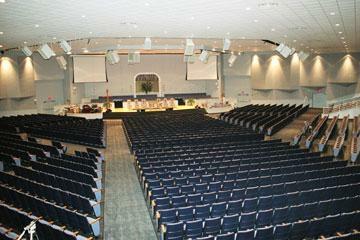 Church technology for attention and attendance. 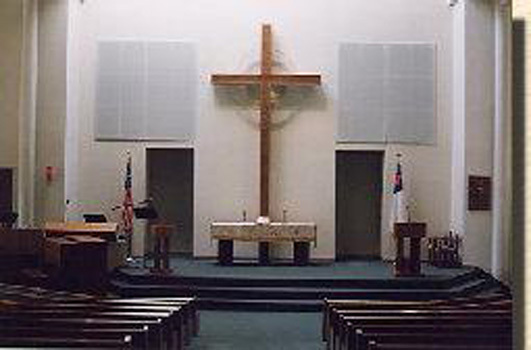 Audio Visual Effects specializes in the installation of sound, lighting and audio-visual equipment into churches and other places of worship. As we move into the next millennium more and more churches and houses of worship are finding the benefit of integrating modern audio and visual technologies. Extra bright projectors, installation speakers, superior speech intelligibility and cost effective LED lighting solutions are quickly becoming a more common feature in today's houses of worship. 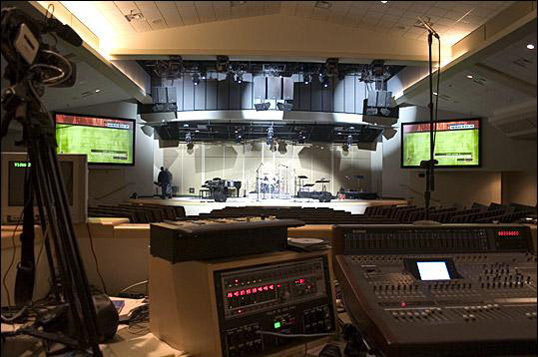 The push for churches to become larger worship spaces has not only given rise to the use of AV equipment, but the use of worship software as well. This emerging class of products offers a range of capabilities centered on the ability to display worship lyrics to a catalog of standard hymns. Most are integrated with Microsoft PowerPoint and require a PC with at least 64 MB of RAM, with additional memory or graphics card requirements for video presentations. is a database-driven software program that offers the ability to display songs, scripture, sermon notes, slideshows, and digital pictures and videos using unique 3D transitions. software offers a dual-screen system for previewing an assembled presentation. Using a visual interface, operators can point and click to send images to the projector. software allows for importing songs from Christian Copyright Licensing International's online lyric service, Song Select software, or Integrity Worship Software. Worship Him offers automatic song usage tracking as well as automatic data backups. Audio Visual Effects can bundle software packages such as Bible translations and video backgrounds for a complete turnkey solution. 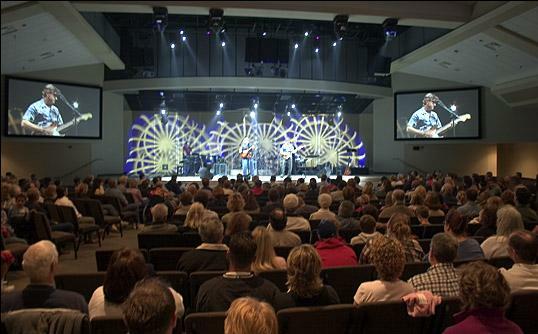 Audio Visual Effects has specialized knowledge in houses of worship so that we can properly design and install all required components to create the most effective way to communicate to your audience.